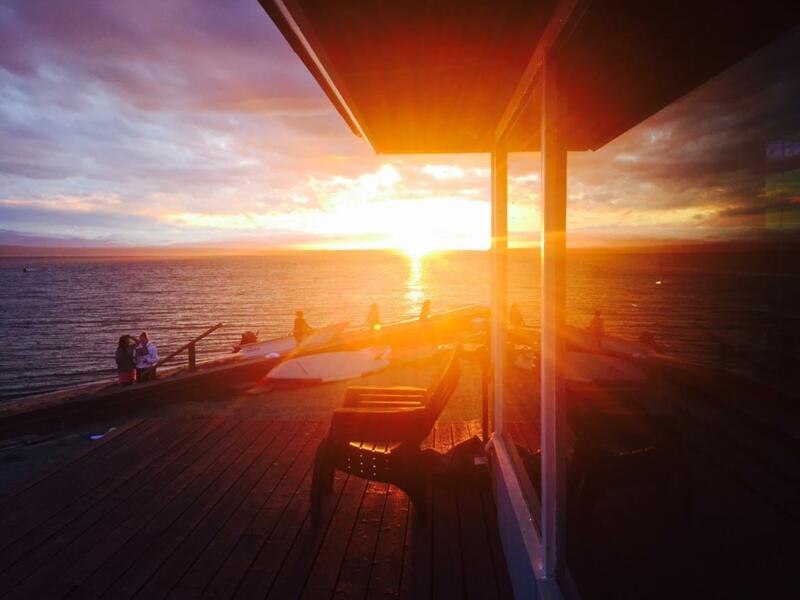 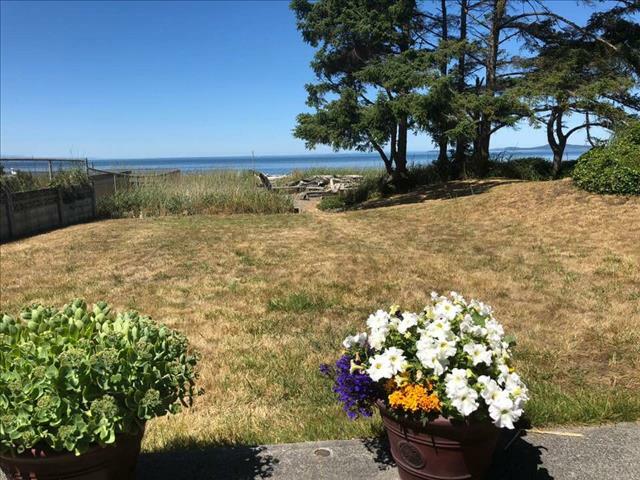 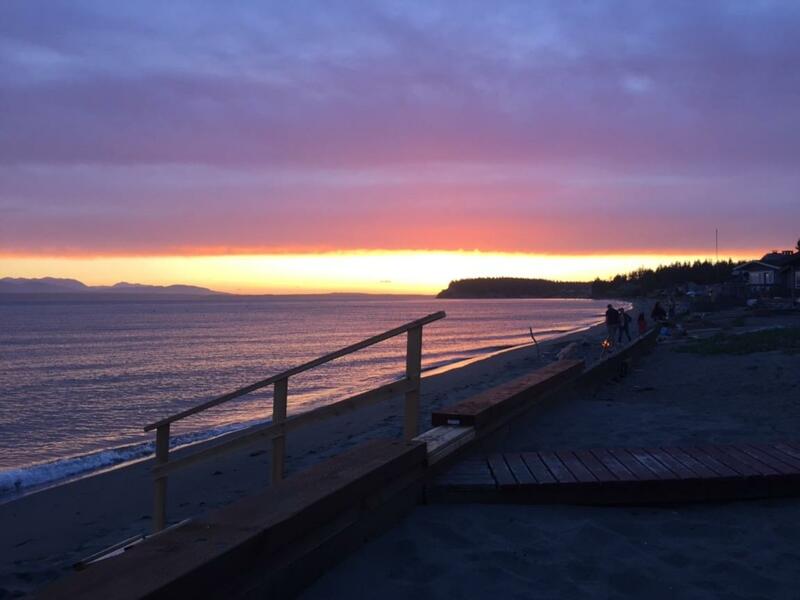 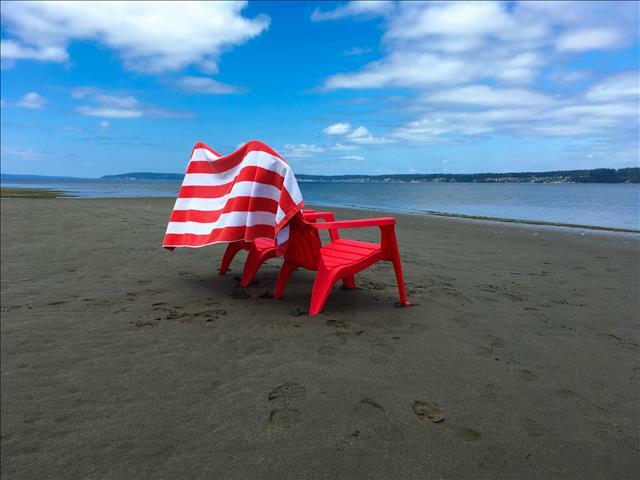 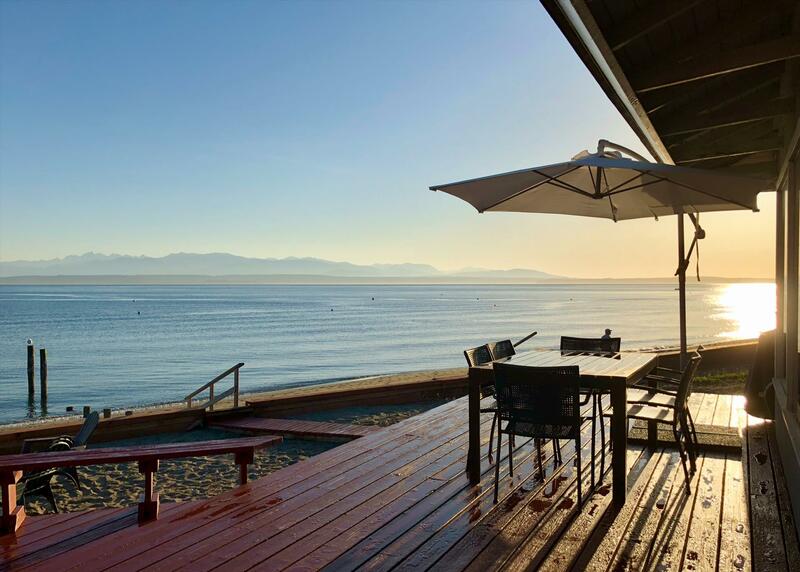 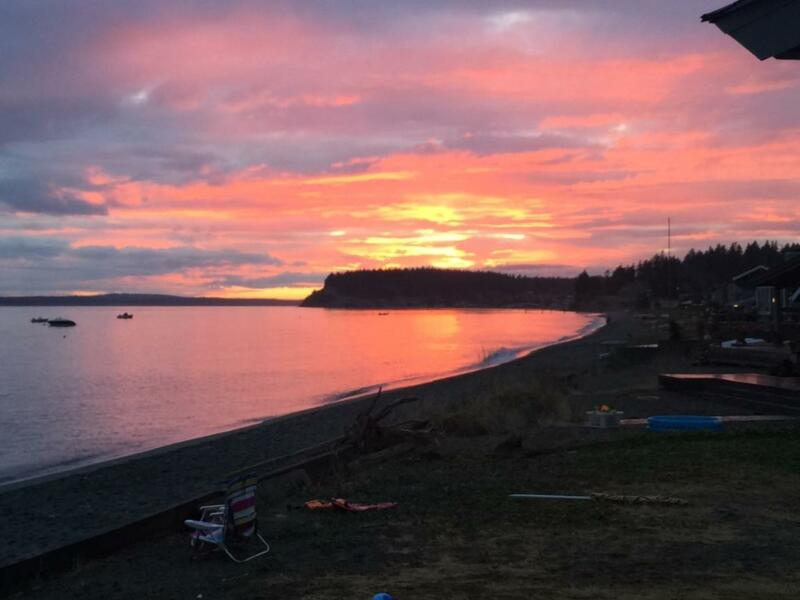 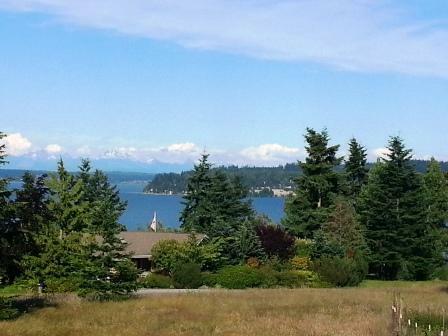 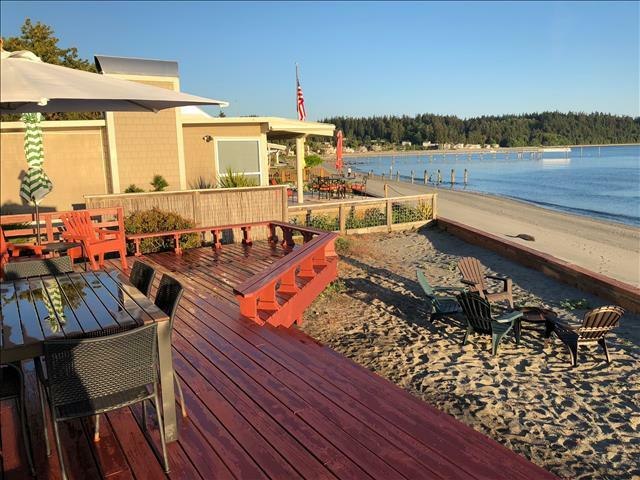 This privately owned beach house, is located on one of South Whidbey's finest level sandy beaches! 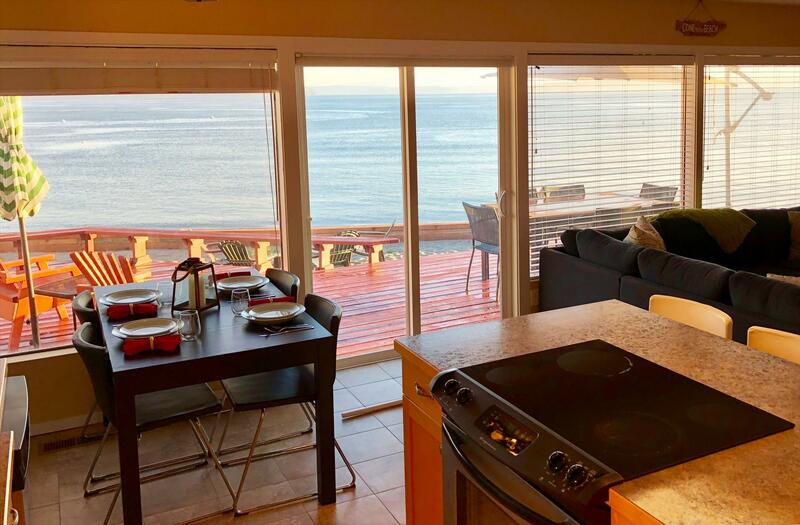 The home is great for families or a group of friends just getting together, enjoying all that Whidbey has to offer! 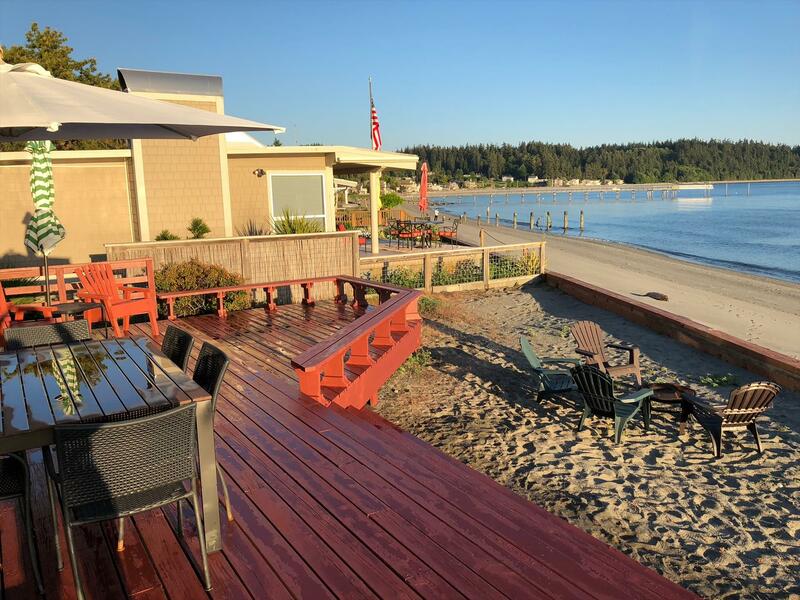 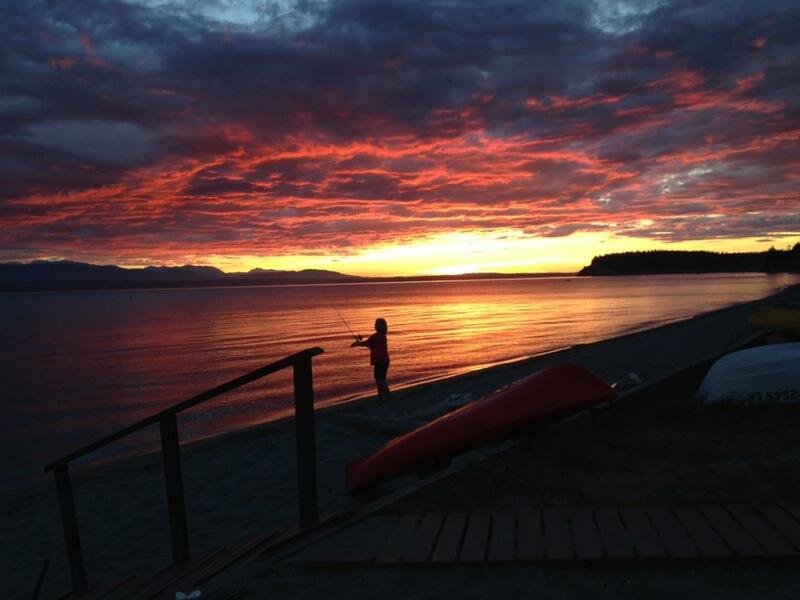 Mutiny Bay is great for the outdoor enthusiasts, so make sure you bring your kayaks, paddle boards, fishing poles and your street or mountain bikes! 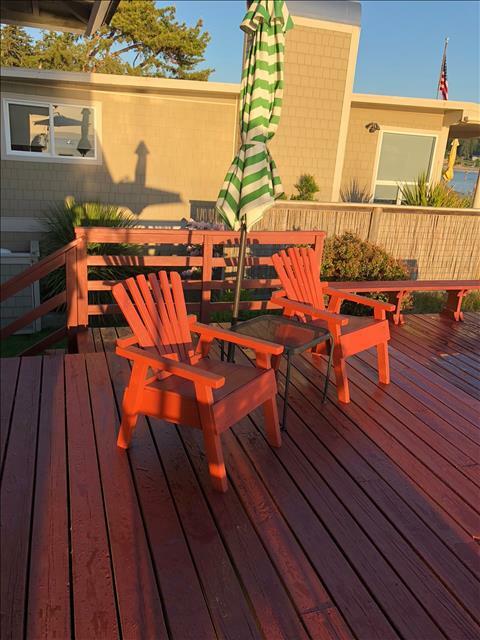 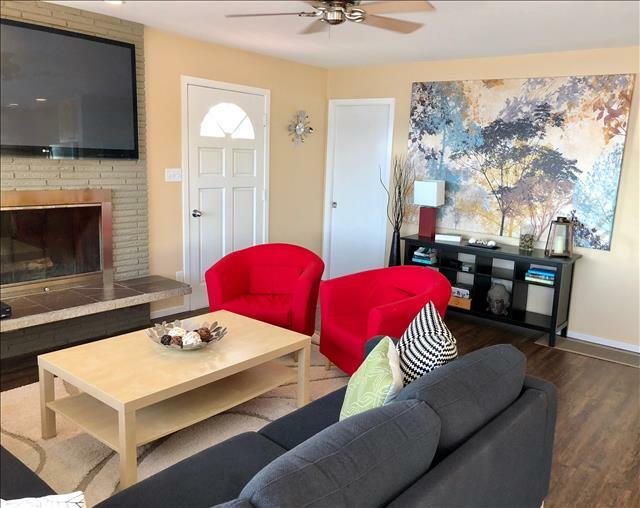 This two story daylight basement beach house has 3 bedrooms and 1 3/4 baths! The full bath and two of the bedrooms are on the main upper level. 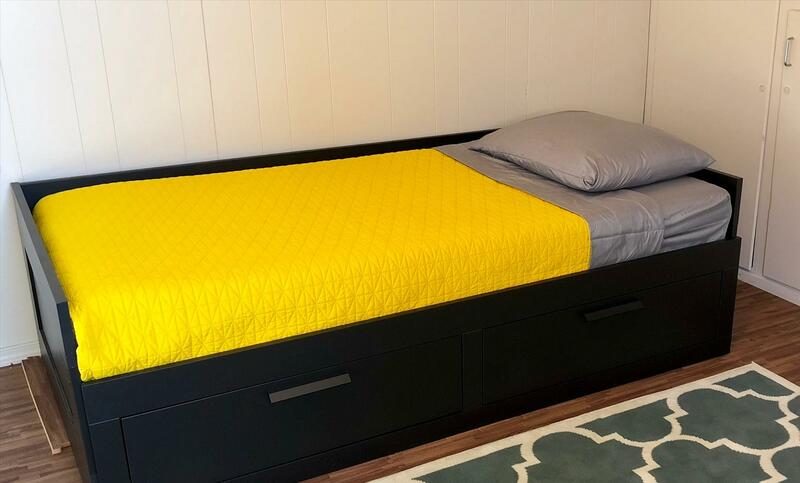 There is a queen bed in one room and a double bed in the other! 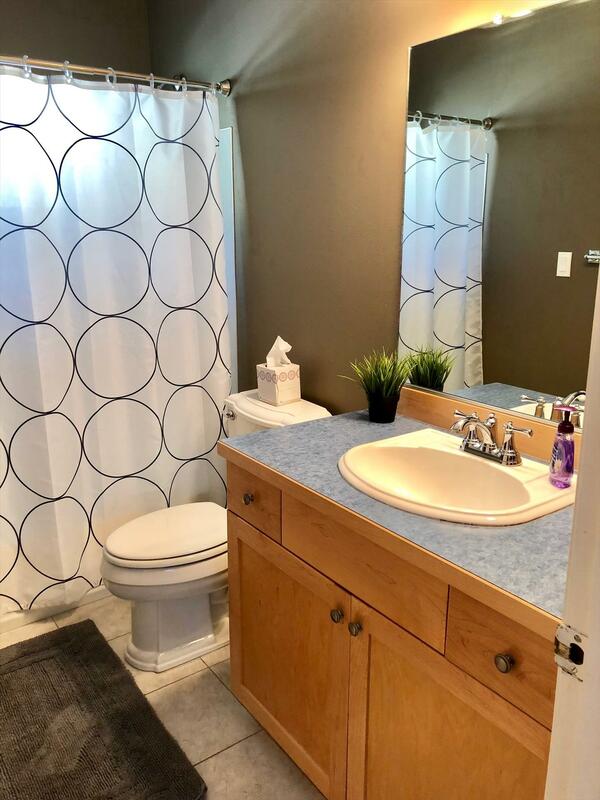 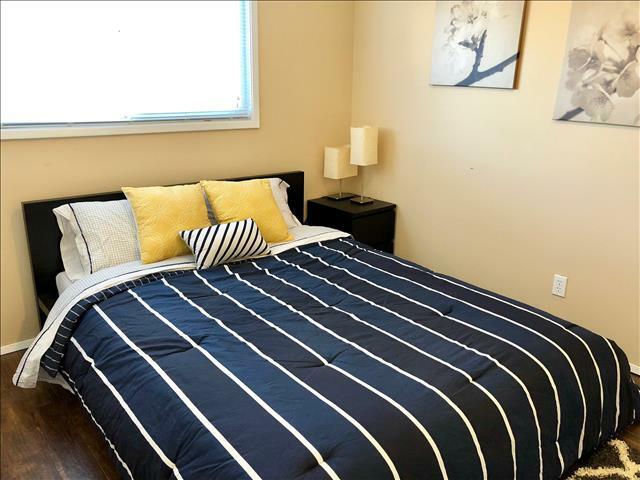 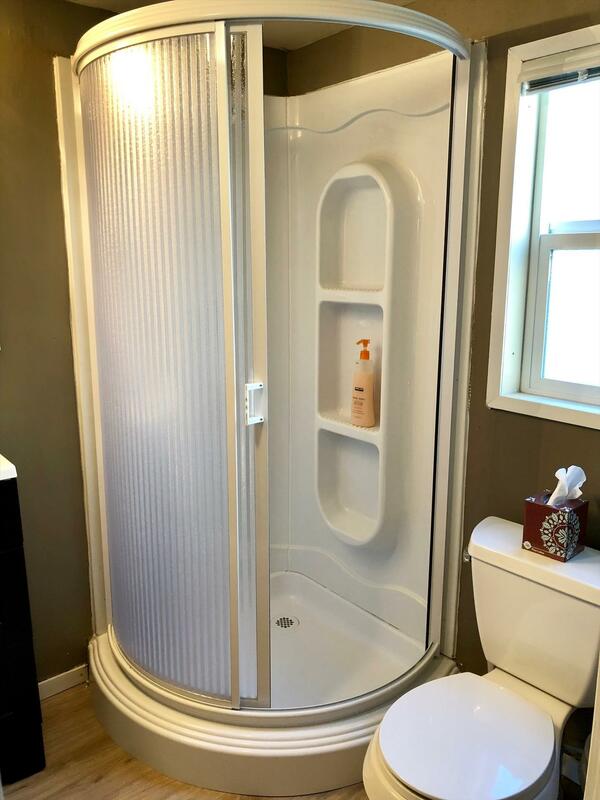 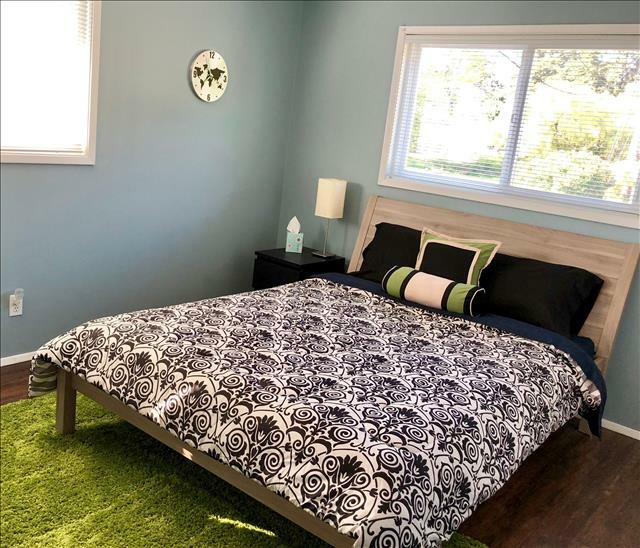 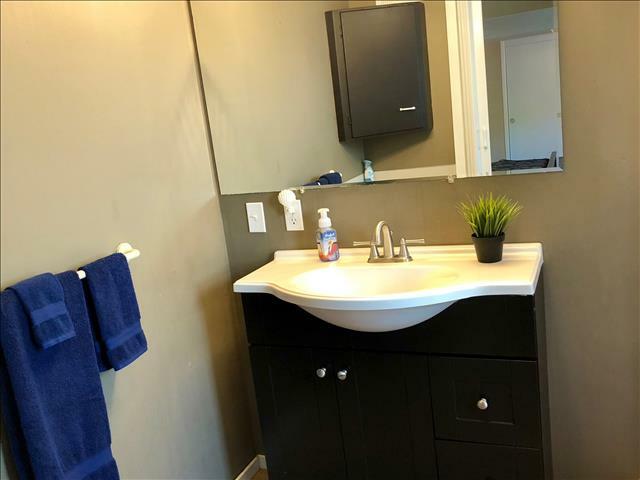 Downstairs is the master ensuite with a 3/4 bath and a king bed! 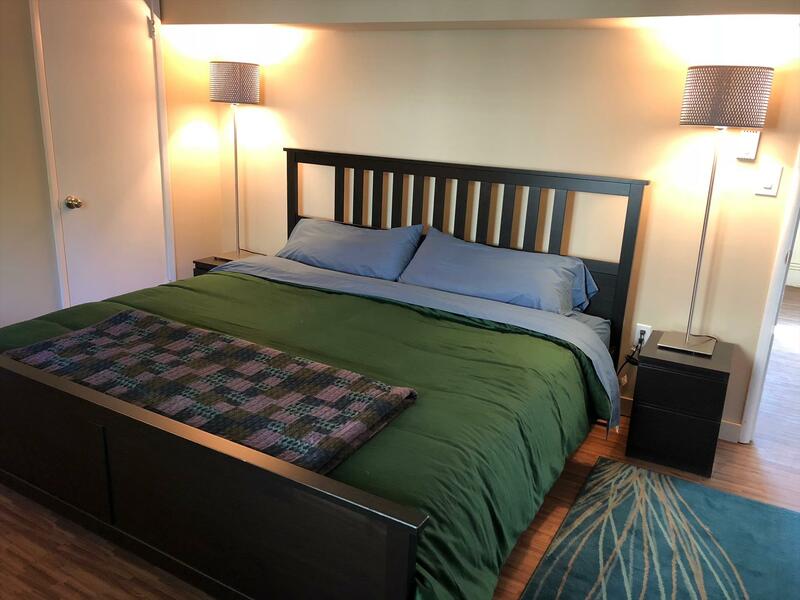 There is also a twin bed downstairs just outside the master bedroom in a separate sleeping area. Enjoy the ever moving picturesque views of the huge cruise ships, or an occasional submarine passing by, with the snow capped Olympic Mountains beyond! 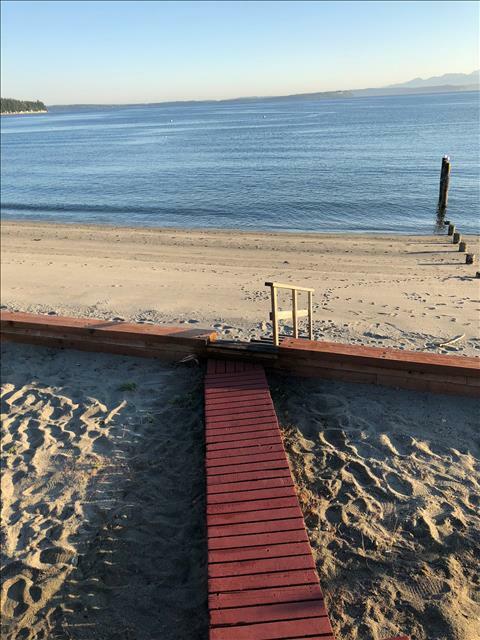 Seeing the eagles and osprey soaring overhead, while relaxing on the deck, watching the gorgeous sunset, is a daily occurrence on this beach! The open floor plan allows you to enjoy the beautiful view while you are cooking, eating, relaxing or watching tv on the huge flat screen tv! 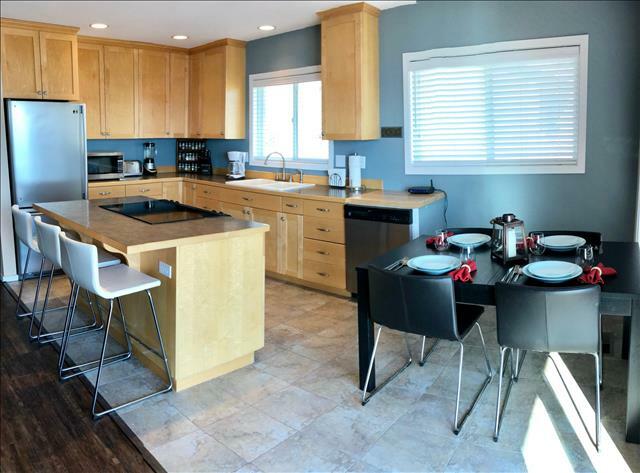 The kitchen boasts all newer stainless steel appliances, a glass top stove, set in the large island and eating bar! 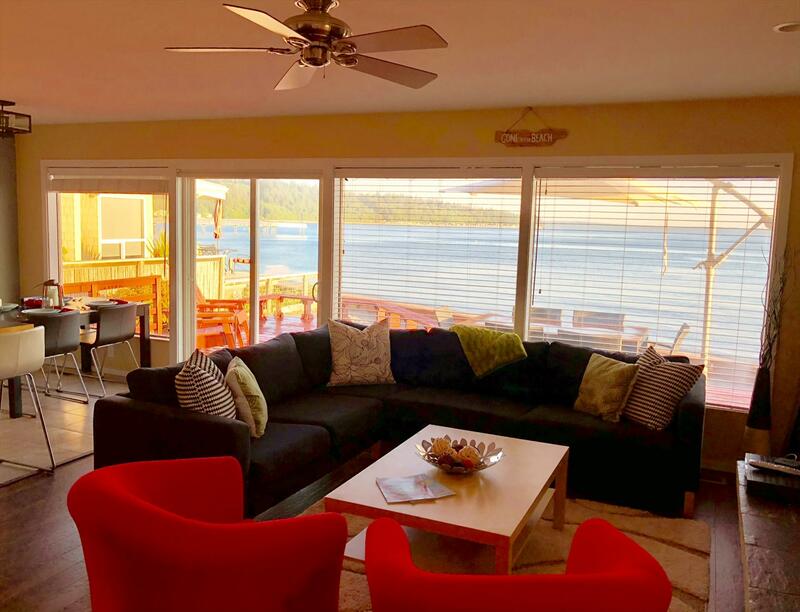 There is cable tv and wi-fi, for those of you that still need to work while on vacation!